Pre-Owned 2007 Toyota Camry LE POWER MOONROOF POWER SEAT KEYLESS ENTRY CLEAN! *** FRESH LOCAL TRADE IN WITH CLEAN CARFAX *** Check out this great looking and nicely equipped 2007 Toyota Camry LE featuring Power Moonroof, Keyless entry, Power driver seat, Power mirrors, Power locks, Power Windows, CD player, Cruise control, and much more! Clean Carfax, Fully inspected and ready for a new home. Stop by for a test drive today! This vehicle is located at Walser Nissan in Wayzata, Just minutes west of Minneapolis off of highway 394. *** 1 OWNER CLEAN CARFAX LOCAL TRADE-IN *** Check out this excellent condition and LOADED 2011 Nissan Rogue SL AWD featuring Leather, Heated seats, Moonroof, Bose premium audio, Xenon lights, Intelligent key, Bluetooth streaming audio with MP3 playback, Automatic climate control, Power driver seat, and much more! 1 Owner clean Carfax local trade in, Fully inspected and ready for a new home! Stop by for a test drive today. 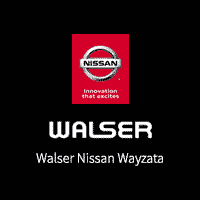 This vehicle is located at Walser Nissan in Wayzata, just minutes west of Minneapolis off of highway 394.This vehicle is equipped with a backup camera. Do not miss out on this great opportunity to get a beautiful 2012 Buick Verano Leather! Theres still a lot of value in this vehicle, having an original MSRP of $27,750.00! Theres so much included with this vehicle so do yourself a favor and come in for a test drive to really experience what this vehicle has! All of our vehicles go through a 150+ point inspection to ensure that you are getting a high-quality vehicle for your money!This vehicle is equipped with a backup camera. *** LOW MILES FOR THE YEAR *** TURBO DIESEL WAGEN *** Check out this excellent value 2011 Volkswagen Jetta SportWagen TDI featuring Heated seats, Keyless entry, Alloy wheels, Power panoramic moonroof, Power windows, Power mirrors, Power locks, and much more! Clean Carfax, Fully inspected and ready for a new home. Stop by for a test drive today! This vehicle is located at Walser Nissan in Wayzata just minutes west of Minneapolis off of highway 394. Pre-Owned 2013 Nissan Altima 2.5 S BLUETOOTH POWER SEAT AUX LOCAL TRADE IN! *** LOCAL TRADE IN WITH CLEAN CARFAX *** Check out this beautiful looking and nicely equipped 2013 Nissan Altima 2.5 S featuring Bluetooth audio, AUX input, Power driver seat, Steering wheel mounted audio control, Intelligent key with push button start, Vehicle Dynamic Control, and much more! Clean Carfax, Fully inspected and ready for a new home! Stop by for a test drive today! This vehicle is located at Walser Nissan in Wayzata, just minutes west of Minneapolis off of highway 394. Do not miss out on this great opportunity to get a beautiful 2012 Volkswagen Jetta TDI! Theres still a lot of value in this vehicle, having an original MSRP of $29,160.00! Theres so much included with this vehicle so do yourself a favor and come in for a test drive to really experience what this vehicle has! All of our vehicles go through a 150+ point inspection to ensure that you are getting a high-quality vehicle for your money! Do not miss out on this great opportunity to get a beautiful 2012 Toyota Camry XLE! Theres still a lot of value in this vehicle, having an original MSRP of $28,415.00! Theres so much included with this vehicle so do yourself a favor and come in for a test drive to really experience what this vehicle has! All of our vehicles go through a 150+ point inspection to ensure that you are getting a high-quality vehicle for your money! *** 1 OWNER CLEAN CARFAX LOCAL TRADE-IN *** Check out this excellent condition and nicely equipped 2014 Chevrolet Malibu LS featuring Keyless entry, Bluetooth audio and USB, Alloy wheels, and much more! 1 owner clean Carfax, Great gas mileage, Fantastic price point! Fully inspected and ready for a new home, Stop by for a test drive today! This vehicle is located at Walser Nissan in Wayzata just minutes west of Minneapolis off of highway 394.